I’m running a project together with YO3KSR ham radio club in Bucharest. It aims at running app_rpt on an small WL500 router in order to make radio-VoIP-radio network. 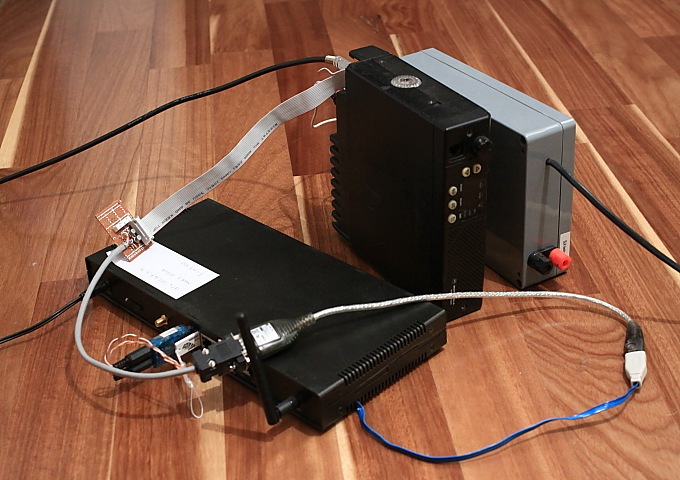 In the picture below one could see a router connected with a GM300 rig and the power supply for the rig. This article is just a short list of information on how to replicate the solution. It’s actually a WL500 Deluxe board together with a GPRS board (not used in this project) in a different box. It’s sold as Topex BYTTON GPRS. – USB sound card – I’m using CM108 based card as of now but you may try a different card because I use chan_alsaradio driver. – USB to RS232 converter for signaling (PTT and COR) – I’m not using the GPIO pins on the CM108 card because the requirement was to be able to use any kind of the USB sound cards that may not have GPIO pins. The order of physical USB ports is important, it should be like in the picture. Otherwise you need to adjust configuration files. The application is made to run on OpenWRT 10.03. You need to install it before attempting to install app_rpt. Since the board has so less flash memory (4MB), the USB flash drive is used to keep the new root filesystem. In order to boot from flash drive you need to replace /sbin/init on your onboard flash filesystem with the following script: init. The script will switch from on-board flash root to the root mounted from USB flash drive. Changing default node number (27237) and relation between node number and IP address: modify node number in /etc/asterisk/rpt.conf, and node number and IP in /usr/lib/asterisk/rpt_extnodes . You could configure and use any options app_rpt has. If the sound is chopped you may try to overclock the router . DO IT AT YOUR OWN RISKS! I hope this is enough for someone to get started. Have you considered hooking PTT up to the GPIO line on the CM108 chip? Here is one example. There are many others. You could get rid of the serial adapter. I am aware of GPIO pins of CM108. They could be used for any kind of IO operations. 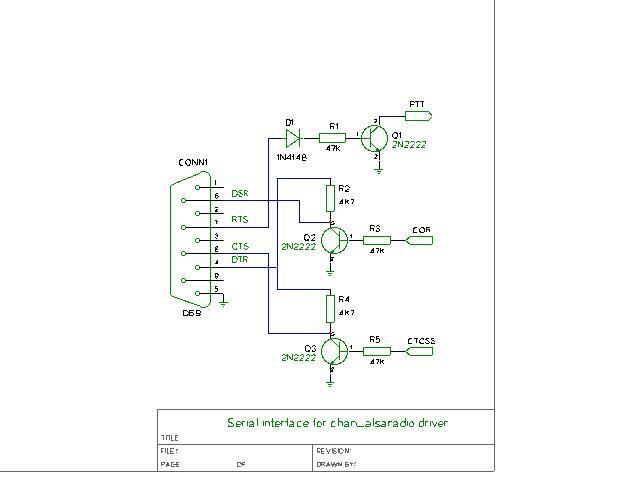 However, the driver chan_alsaradio I wrote for this project is made for a general USB sound card which may or may not have those GPIO pins available. That is why all signaling is done through serial line. Good idea using a generic not-modified USB sound device! Do you think the WL500 will handle two USB devices with two radio channels? Did you have a problem with chopped sound (not enough CPU power) ? Hi, the WL500 is on the limit, probably it will not handle two radio stations in the same time due to the slow CPU. Though, I’m using WL500Pro, there is a Deluxe version with a powerful CPU, maybe it will be better. HAS NO EFFECT WHATSOEVER on the cpu frequency. You can’t overclock an Asus wl-500g Deluxe. This command “nvram set clkfreq=264,132″ has been advertised to work by the second hand vendor of these routers, to be able to sell you. Indeed what the /proc/cpuinfo shows is the same before and after you execute the command. However, on my experiment, after executing the command the sound is not chopped anymore. That make me think the command DOES something good. Sorry I did not investigate what exactly the command is doing but if it helped, I used it.